More than 90% of consumers research online before they ever contact a business. Having positive public business reviews is critical for every small business. This guide will help you get more Google My Business reviews by providing your customers a direct link to the review form. It’s likely impossible for most businesses to directly contact each of their customers and ask for a review, but it’s important to try and get as many positive reviews as possible. To make it easier for customers to review your business, we recommend providing or sending a direct link to the actual review form on your Google My Business page. The Google My Business review box provides a star rating and comment box. The only requirement for someone leaving a review is that they must login with their Google or Gmail account. For example, after completing a new website or mobile app project at B2 Web Studios, we send a simple thank you follow-up email to clients. After thanking new clients, we wrap up the email by a asking for a review on our Google My Business listing. With this request, we send a direct link to the form for them to leave a review. This URL automatically loads the Google My Business review form so clients can easily leave their review of B2 Web Studios. Providing this direct link means there is no searching, frustration or abandonment of the review when our client starts to leave a review. Do reviews on Google My Business really make a difference? Online reviews absolutely make a difference, and specifically Google My Business reviews. 92% of consumers read online reviews, which means people trust online reviews more than they trust personal recommendations from friends and family. Research shows that 5 reviews is the magic number of Google My Business reviews. Once your business hits 5 reviews on Google My Business, your business will likely start seeing benefits in organic search results and the “Local Pack” of search results. 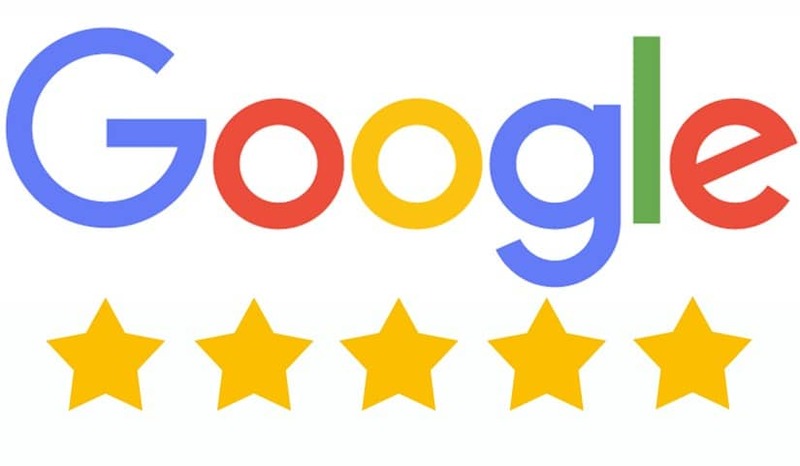 Another reason Google My Business review are valuable are because a user must have a Google account to leave a review. When an account is attached to an online review it is more likely to be a legitimate review from a real person, not a fake review created by the business owner to make their business look good. If your customer wants to remain anonymous, move on to the next customer. Don’t spend too much time trying to convince a customer to create an account or to use their real name. Instead, ask that customer to leave your business a review on your business’s Facebook page or email you a testimonial you can add on your website. Google continually updates their products and services, so the process creating a link to the Google My Business review box has changed several times over the past year, as has the name of the service. What was once “Google Places”, became “Google+”, and is now “Google My Business”. Why? We don’t know. Creating a universal direct link to the Google My Business review box is a little bit of a process, but it is well worth the work. Now that you have your Google My Business listing, grab your cell phone. Open up your browser of choice, go to Google.com. Make sure you’re not logged into Google, or use Google Chrome’s “incognito mode”. You need to be logged out while creating your direct review link so your username/account doesn’t become part of the URL that you send out to clients. Search for your business name exactly as it appears on your Google My Business listing. Your business’s Knowledge Graph should show up with all of your business information. If you don’t see your business, just modify your search a little – include your city/state, phone number, address, etc. – until your business pops up. Hit that round blue button with the down arrow. Scroll down a bit to find the “Review and Rate” section, and tap the 5th star at the far right. Make sure you hit that 5th star, this will be the default rating that will be copied over in the URL you share with your clients and customers. You’re now at the “Leave a Review” screen. Press + hold in the address bar until the option appears to copy the URL. You now have a universal link that will work on desktop or mobile. You can now email or text it to yourself and start using it. It was a pleasure working on your project! Would you mind taking a moment to leave B2 Web Studios a short and honest review on our Google My Business listing? Now that you have the power, go out and get those Google My Business reviews. Stop hoping customers will leave reviews. Start asking for reviews and top it off by making it even more simple for customers to review your business.